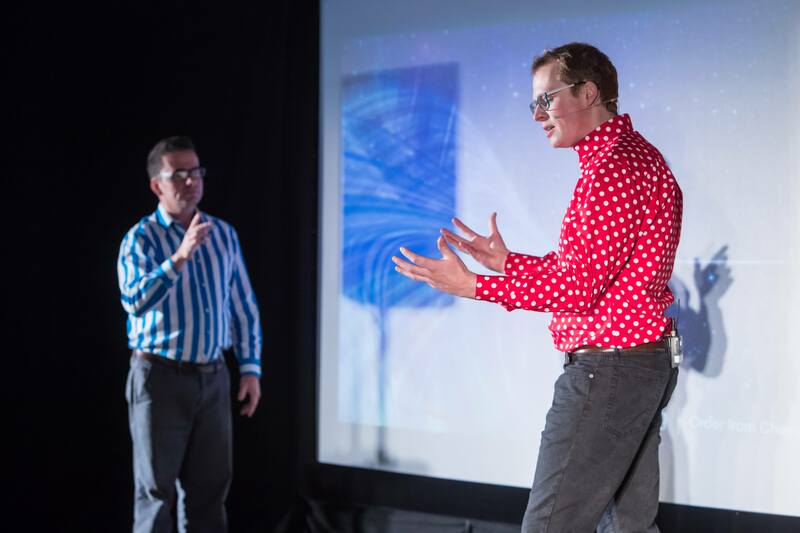 Whilst Jason was fast becoming an internationally-renowned speaker and as 'The Philosophy Man', Tom Bigglestone was heading up his own projects as a full-time teacher. He became fascinated with the role of philosophy in the classroom, and alongside his duties as a Head of Department, he attended every course possible, crafted and delivered several philosophy curricula, and completed a Walter Hines Page Scholarship on assessing philosophical skills. He then joined Jason and they're now working with more schools than ever before. From small beginnings in 2008, The Philosophy Man is now the UK's leading independent provider of P4C training and workshops. Jason and Tom send free p4c resources to nearly 16,000 educators worldwide, and train upwards of 2,000 teachers a year through INSETS and Keynotes in our streamlined and accessible Philosophy Circles approach to P4C. We spend as much time in the classroom as we do delivering courses, and we ‘show our working’ in front of children of all ages. At our recent TedX talk. Video coming soon! We’re extremely keen to make sure we don’t just turn up, trouser our fee and disappear without leaving much behind. We put a lot of energy into creating memorable, interactive sessions supported by practical resources. For example, all school bookings come with 100+ pick-up-and-go session plans for every subject in the curriculum; a Philosophy Circles handbook for every member of staff, as well as Thinkers’ Games minibooks. More about our Philosophy Circles training can be found under Training. We are continually creating new resources, sharing improvements to the training and expanding our horizons. We’re training more teachers, delivering more workshops, and giving more presentations than ever before, and this year have started working in Singapore, Oz and NZ. Six hours of pupil workshops, assemblies and after-school INSET in any combination you like. Gives staff the chance to see P4C in operation with their own classes. A full day of training, with lots of participation to show how the process works. Very lively and good fun. Prepares everyone with the skills and resources to make an immediate start with their own classes. Several days of philosophy workshops and twilight INSET, usually over a period of half a term. Teachers see a range of approaches in action and progress measured over the stay. Since commencing P4C, we have noticed a dramatic increase in the children’s ability to discuss concepts with their peers and they have vastly improved in their ability in looking at one another when speaking, in actively listening to one another and in building upon and challenging others’ views and opinions. Before the lessons started, the children were not listening deeply to one another and responding to one another constructively – they had their opinion and that was it. I was extremely cynical about P4C prior to today's experience, this is despite my belief that critical thinking is a crucial skill that all children should be taught and/or encouraged to develop. That was until about fifteen minutes into your Year 4 session today. Watching the children transition from anarchic arguments about 'silly things' to thoughtful group discussion on a serious topic (the causes of poverty) was eye opening and quite staggering. The commentary for the benefit of the staff during the Y4 session was extremely helpful in understanding why you were doing what you were doing. Combined with the staff training session the day was one of the best CPD experiences I've ever had. We have been keen to establish P4C for some time in our school, believing it to be a natural part of our three-layered G&T programme. It was great to work with Jason who consolidated and extended our prior knowledge and really made us believe that not to implement P4C would be a grave mistake on our part. The children loved it and talked about it a lot the following day, asking when we were next going to do philosophy. It is a testament to Jason's energy and commitment that he managed to enthuse the staff during a twilight session in darkest January and several expressed regret that we hadn't put aside a whole day. I am keen to get Jason back into school to work with our younger pupils now - he has a natural affinity with the children but still managed to make the adults laugh and wish to get involved. I just wanted to say thank you for the training you did in Lydney last week. It was a fab day and as a result... We are now going to roll out p4c across the school from September! The head has given me responsibility for thinking skills and we are going for the thinking school's accreditation. All very exciting! Superb – the best course of 15 years teaching experience. I just wanted to say a huge thank you for yesterday's Interfaith Day. The children had a wonderful day and the assemblies were fantastic. The children are buzzing with P4C and continuing to talk about the workshops.